When Lena escaped into the wilds, she ended up alone and devastated by the loss of her newfound love, Alex. She is taken in by a rebel group at a homestead in an abandoned town, and struggles to recover emotionally and physically as best as she can. Life is hard as a rebel, and it only gets harder as Lena is drawn into a more active role in the resistance, getting close to Julian, son of an anti-love activist. When the two are abducted and must figure out how to escape unscathed, working together uncovers secrets…and feelings that Lena didn't think she'd ever feel again. Lauren Oliver's second book in the Delirium trilogy is just as emotional, intense, and action-packed as the first. Oliver picks up right where Delirium leaves off, with Lena at an all-time low. 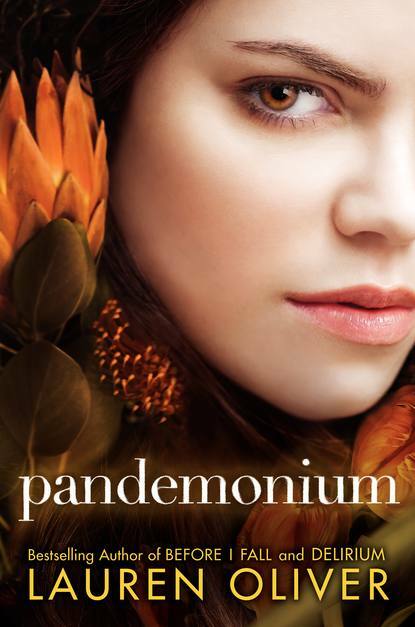 To have a strong heroine who has overcome so much be dealt such a blow is hard to read about, but readers will find Pandemonium nearly impossible to put down. Oliver keeps the book from being gloomy by hopping back and forth between Lena's recovery and her undercover role months later back in society, racketing up the suspense and tension with each chapter. Oliver's plotting is extremely clever, from escape routes to secret codes and hidden intentions, and she always manages to work in a plot twist when you least expect it. Lena's relationship with Julian is different from the one she had with Alex—it's much more tentative and complicated, yet no less vivid and heartfelt. Those stolen romantic moments are almost as sweet as the tantalizing glimpses of other long lost characters. Pandemonium certainly lives up to its title with its constant action and relationships in a state of flux, but small triumphs and moments of happiness do exist amongst the chaos. Oliver conclude the novel with a cliffhanger ending that will irrevocably change the life that Lena has managed to build for herself, and readers will be desperate for the next book in this beautifully written and emotionally wrought series. Cover Comments: I like how this cover is in the same style as the new Delirium cover, and I do think it;s really pretty, though it doesn't exactly fit the story. This book will be out tomorrow! I loved this book so much, I couldn't put it down. Great review, it's true, this book is definitely as emotional as the first one! I definitely like the new covers they have for this series! Loved this book! Great review! Thanks for reminding me why I wanted to read this. Need to dig it out. Looking Ahead: Alethea Kontis and Enchanted! Steal Alert: Cool Friday Deal! A Wrinkle in Time Trailer! Cover Talk: Kerstin Gier's Gorgeous New Covers! Video Interview with Daisy Whitney!